Rolex - One of the most stunning strap for the Tudor Black Bay Harrods Edition. 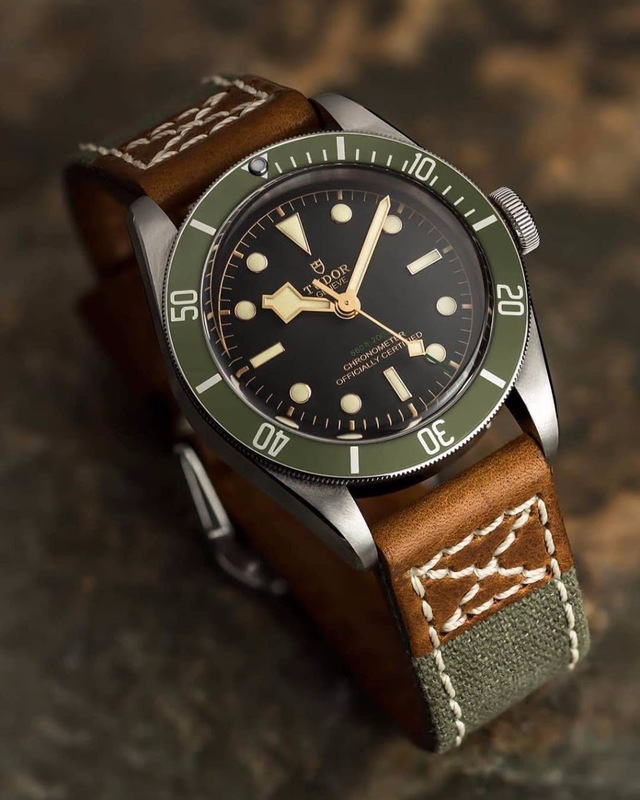 One of the most stunning strap for the Tudor Black Bay Harrods Edition. Found on the net, but I cannot tell who to credit for that photo. The blend of Canvas and leather is really top. And works so well with that watch! Bravo to its owner, he's a man of great taste.